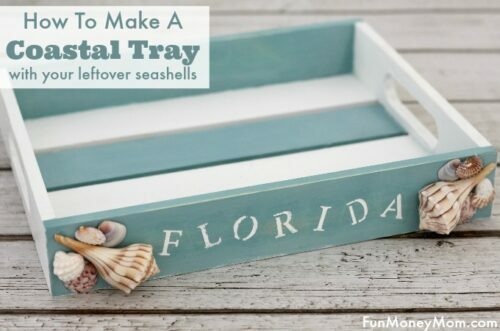 Need something to store all those extra kitchen utensils in? 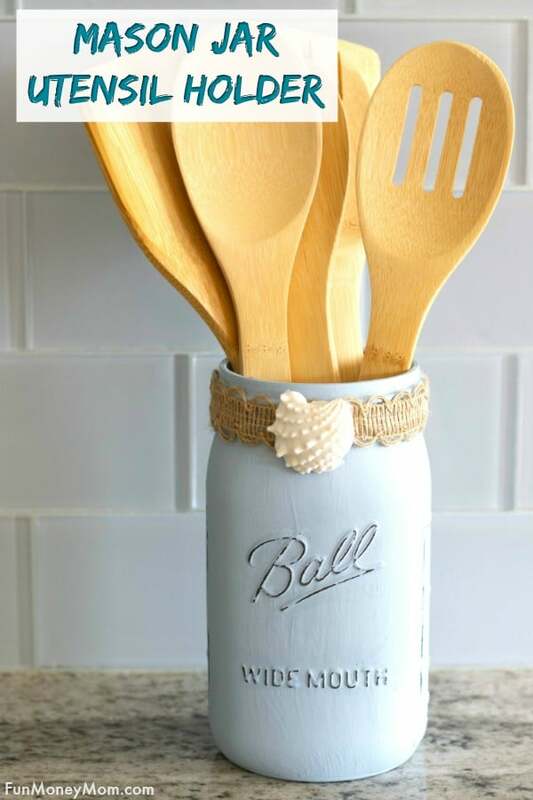 This Mason Jar Utensil Holder is not only fun to make, it will look fabulous in your kitchen! When I was invited to appear on Suncoast View for National Mason Jar day, I had no idea what to make. I’d said yes but had never actually made mason jar crafts before. Then it started coming to me little by little. I pulled out my crafting supplies and realized that I really needed something to hold my paintbrushes. 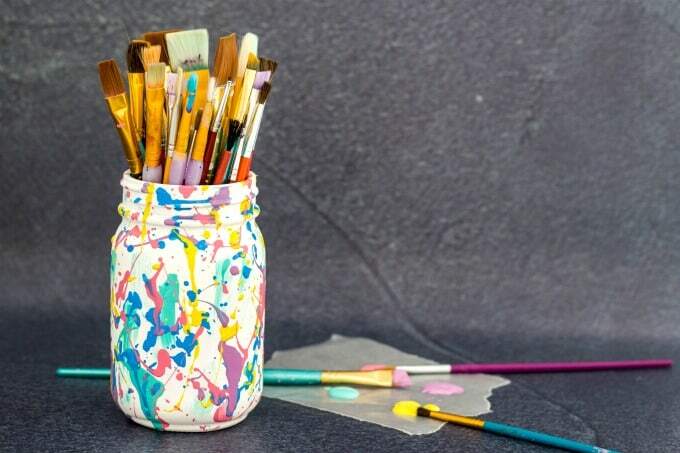 I painted one of my mason jars white, splattered some colorful paint over it and voila, problem solved. Since it was Christmas season, next I made some mason jar Christmas decor. 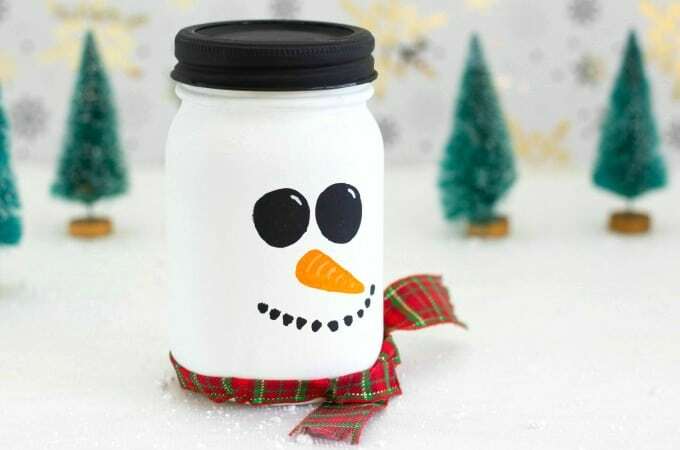 That led to a mason jar reindeer and my favorite, a cute mason jar snowman. The ideas just kept coming. As as I was cooking in my kitchen, I realized that my utensil drawer was overflowing. Since necessity is the mother of invention (I love that quote), I knew a mason jar utensil holder was just what I needed, for both the show and for my actual kitchen. 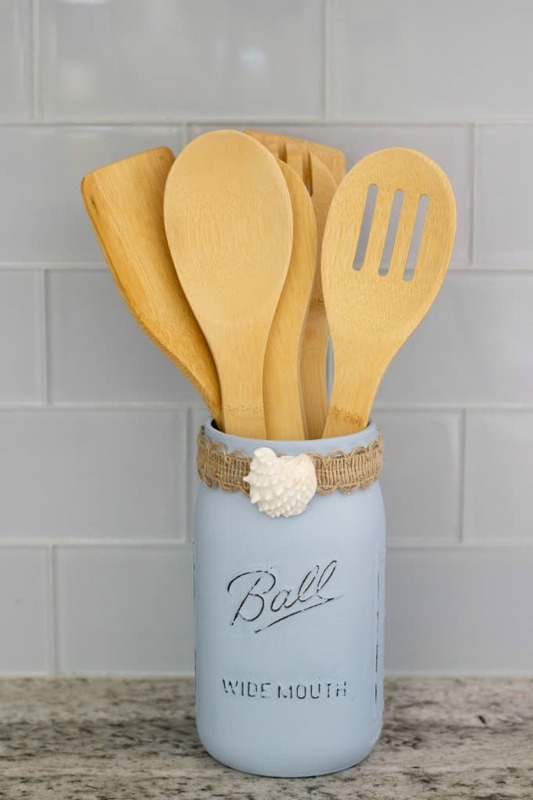 Making a mason jar utensil holder is super easy and it also makes pretty DIY kitchen decor. 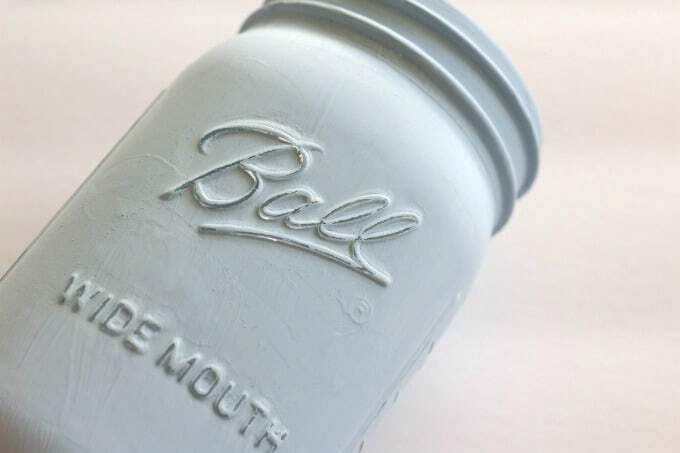 I love painting mason jars with chalk paint. You can use regular paint too but something about the chalky finish gives it a more rustic look. 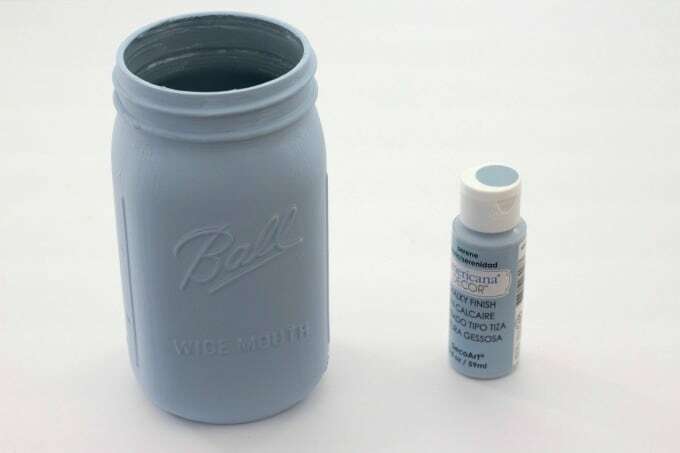 I started with this inexpensive chalk paint. 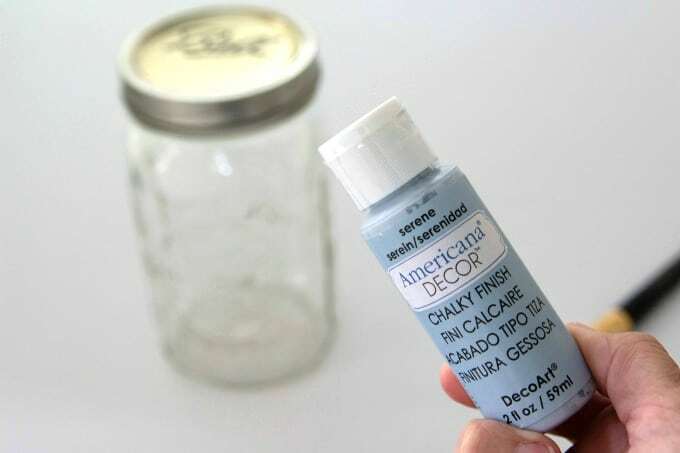 Cover the mason jar with 2-3 coats of paint. 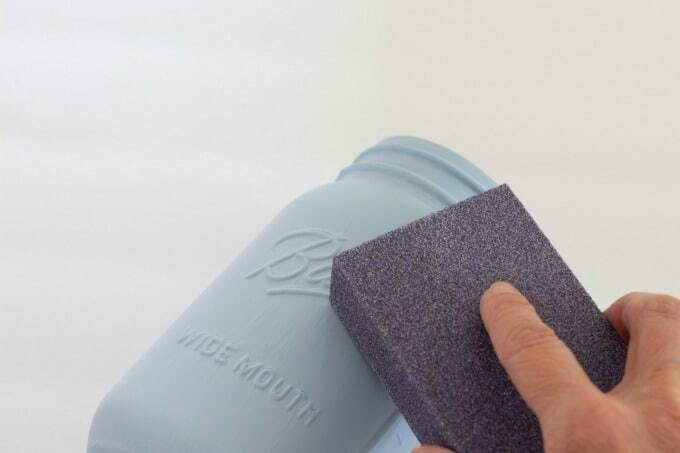 Once the paint dries completely, rub it with sandpaper to give it a weathered look. Rub gently until you get the effect you want. I did it just enough to rub off part of the letters. Next, find a ribbon you like. 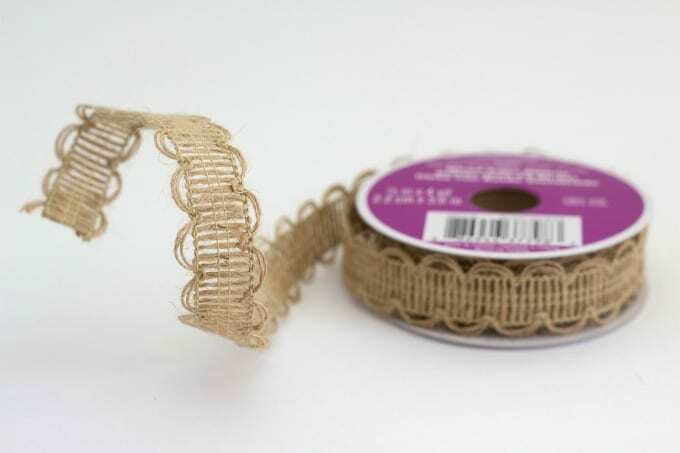 I chose this burlap ribbon because it goes well with our coastal decor. Use hot glue to glue the ribbon around the top. 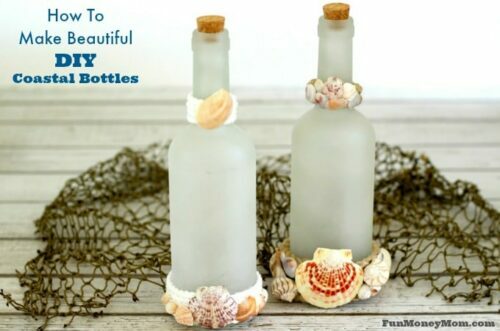 Finally, I glued a white seashell to the front and my mason jar craft was finished. Now I have a handy utensil holder and new kitchen decor all rolled into one. I loved how simple it was to make this and I didn’t stop there. 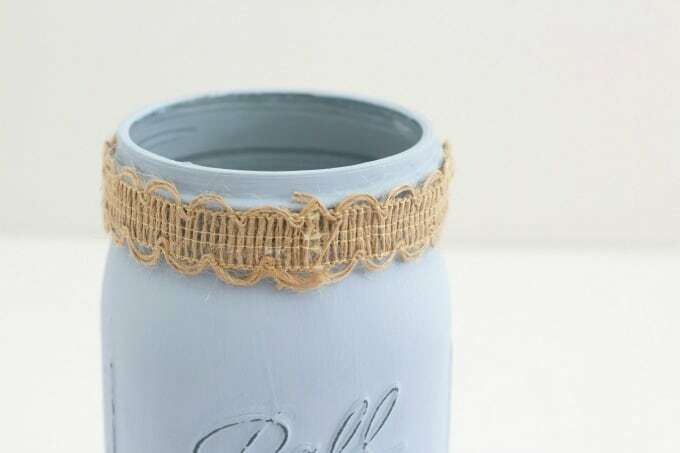 Stay tuned for my next mason jar craft, which turned out to be my very favorite! What have you made with mason jars? 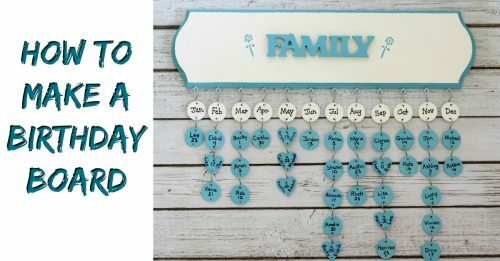 Do you use them as storage, decor or both?